Pocahontas married John Rolfe. Pocahontas died in 1617. Elizabeth Blair married John Bolling Jr., son of Major John Fairfax Bolling and Mary Kennon. Child of Elizabeth Blair and John Bolling Jr.
[S676] Gary Boyd Roberts, Presidents 2009 Edition, page 11. Martha Wayles was born on 30 October 1748. She was the daughter of John Wayles and Martha Eppes. Martha Wayles married President Thomas Jefferson, son of Peter Jefferson and Jane Randolph, in 1772. Martha Wayles died on 6 September 1782 at age 33. [S678] Annette Gordon-Reed, Hemingses of Monticello. Colonel Richard Randolph was born on 2 May 1686 at Turkey Island, Henrico Co., VA. He was the son of William Randolph and Mary Isham.1 Colonel Richard Randolph married Jane Bolling, daughter of Major John Fairfax Bolling and Mary Kennon, in 1720. Colonel Richard Randolph died on 17 December 1748 at England at age 62. Harriet Hemmings was born in 1795. She was the daughter of Sarah Hemmings. Harriet Hemmings died in 1797. Thomas Riley Isbell married Mique Ann Hardin Davis, daughter of William Riley Davis and Christine Adeline Hickman. Henry Thomas Williams was born on 12 January 1864 at MO. He married Ida Mae Isbell, daughter of Thomas Riley Isbell and Mique Ann Hardin Davis, on 23 December 1883 at Mt. Vernon, Lawrence Co., MO. Henry Thomas Williams died on 8 September 1947 at Mt. Vernon, Lawrence Co., MO, at age 83. Henry T. and Addie M. were enumerated in the 1900 Mount Vernon, Lawrence Co., MO, federal census. He was a farmer age 36, she was 33, Children in the household were Laura 15, Etta C. 11, Sarah 9, Frank 7, Fred 5, and Clarence 3. Henry T. and Ida M. were enumerated in the 1910 Mount Vernon, Lawrence Co., MO, federal census. He was a liveryman, age 46, she was 43. Children in the household were Sarah E. 19, Frank T. 17, Clarence H. 13, and Lee 1. Henry T. and Ida M. were enumerated in the 1920 Mount Vernon, Lawrence Co., MO, federal census. He was a farmer, age 56, she was 53. Children in the household were Elizabeth Hillhouse 29, Clarence Hillhouse 28, Lee Williams 11, and Bernice Hillhouse 6. Emory A. Hillhouse was born on 23 September 1882 at Mt. Vernon, Lawrence Co., MO. He married Etta Coleman Williams, daughter of Henry Thomas Williams and Ida Mae Isbell, on 18 November 1906 at Lawrence Co., MO. Emory A. Hillhouse died on 23 January 1965 at Mt. Vernon, Lawrence Co., MO, at age 82. Emery A. and Etta C. Hillhouse were enumerated in the 1920 Mount Vernon, Lawrence Co., MO, federal census. He was a farmer, age 37, she was 31. Children in the household were Hall K. 8, and Freeda 6. Emory A. and Etta C. were enumerated in the 1930 Mount Vernon, Lawrence Co., MO, federal census. He was a farmer ate 47, she was 41. Children in the household were Hal K. 19, Freda 17, and Hollis 9. Martha Jefferson was born on 27 September 1772 at Monticello, Albemarle Co., VA. She was the daughter of President Thomas Jefferson and Martha Wayles. Martha Jefferson married Thomas Mann Randolph Jr., son of Col. Thomas Mann Randolph and Anne Cary, on 23 February 1790 at Monticello, Albemarle Co., VA.1 Martha Jefferson died on 10 October 1836 at age 64. Martha, known as "Patsy" in her youth, was the eldest child of Thomas Jefferson and Martha Wayles Skelton Jefferson. Educated in Philadelphia and Paris during the 1780s, she married her third cousin, Thomas Mann Randolph, at Monticello on February 23, 1790. The couple had 11 living children, whom Martha instructed at home. Closely following and supporting her father's career, Martha earned a reputation for her intellectual abilities and served as "first lady" from 1802-3 and 1805-6 in the President's House, later known as the White House. After Jefferson's retirement, Martha and her children spent their time primarily at Monticello, even while Thomas Mann Randolph was serving in Richmond as Virginia's governor. The financial difficulties of both her father and husband were a continual strain on Martha. After Jefferson's death in 1826, the family was forced to sell Monticello and Martha moved to Tufton to live with her eldest son, Thomas Jefferson Randolph. Martha reconciled with her estranged husband shortly before his death in 1828 and lived out the rest of her life with her children alternately in Boston, Washington, D.C., and at her Edgehill estate in Albemarle County. Upon her death, she was buried alongside her husband and father at Monticello. Children of Martha Jefferson and Thomas Mann Randolph Jr.
[S679] William H. Gaines Jr., Thomas Mann Randolph. [S679] William H. Gaines Jr., Thomas Mann Randolph, page 34. [S679] William H. Gaines Jr., Thomas Mann Randolph, page 44. [S679] William H. Gaines Jr., Thomas Mann Randolph, page 51. [S182] Social Security Death Index (on-line), Ancestry.com, SSDI, Ancestry.com, SSAN 495-05-9030. Jane Randolph Jefferson was born in 1774. She was the daughter of President Thomas Jefferson and Martha Wayles.1 Jane Randolph Jefferson died in 1775. William Alvin Pitt was born in 1941 at OK. He married Jane Etta Hillhouse, daughter of Hal Knox Hillhouse and Clara Mae Bell, on 11 August 1962 at Joplin, Jasper Co., MO. [S679] William H. Gaines Jr., Thomas Mann Randolph, page 57. Henry Corbin married Alice Eltonhead, daughter of Richard Eltonhead and Anne Sutton. Lucy Elizabeth Jefferson was born in 1782. She was the daughter of President Thomas Jefferson and Martha Wayles. Lucy Elizabeth Jefferson died in 1785. Colonel Robert Bolling was born in 1646. He married Jane Rolfe, daughter of Thomas Rolfe. 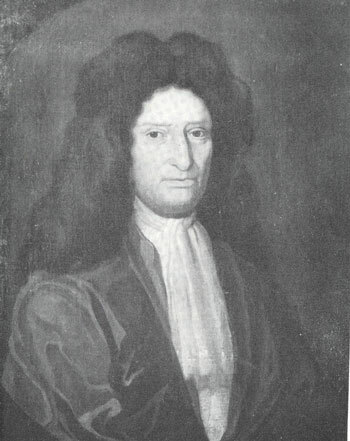 Colonel Robert Bolling died in 1709. Elizabeth Jefferson was born in 1782. She was the daughter of President Thomas Jefferson and Martha Wayles. Elizabeth Jefferson died in 1785. Martha Eppes was born in 1712. She married John Wayles. Martha Eppes died in 1748. Richard Henry Lee Jr. was born in 1647. He was the son of Richard Lee and Anne Constable.1 Richard Henry Lee Jr. married Laetita Corbin, daughter of Henry Corbin and Alice Eltonhead. Richard Henry Lee Jr. died in 1715. [S688] Paul C. Nagel, Lees of Virginia, page 31. Richard Kent was born circa 1586. He was the son of Thomas Kent and Ellen Pyle.1 Richard Kent died in 1654. [S25] Hannah McPherson, Holcombe Genealogy, page 57.1. [S25] Hannah McPherson, Holcombe Genealogy, page 57.2. Rachel Holcombe was born circa 1836 at VA.1 She was the daughter of Ezekiel Holcombe and Rachel Neal.1 Rachel Holcombe died before 1870; unmarried. Major John Fairfax Bolling was born on 27 January 1676. He was the son of Colonel Robert Bolling and Jane Rolfe. Major John Fairfax Bolling died on 20 April 1729 at age 53. William Bassett was born on 8 July 1709 at Eltham, New Kent Co., VA. He married Elizabeth Churchill on 29 January 1729 at VA. William Bassett died in 1744 at Eltham, New Kent Co., VA.
Julia and John were enumerated in the 1900 Pleasant, Clay Co., WV, federal census. He was a farmer and miller, age 76, she was 41. Children in the household were Louisa A. 14, Luther M. 12, Lois 10, Edgar 7, Burma 5 and Hubert 1. John and Julia were still in Pleasant for the 1910 federal census. He was 86, she was 51, they had been married 25 years. John had been married 4 times and there are other Mortons in the vicinity, possibly from earlier marriages. Children in the household were Luther M. 22, Edgar 17, Berma 15, Herbert 11, Lois E. Crupshanks 20, and grandson Gerald L. Crupshanks 2. Peggy Dow Holcombe was born on 1 February 1863 at Fola, Clay Co., WV.1 She was the daughter of Ethan Allen Holcombe II and Anna Louisa Ramsey.1 Peggy Dow Holcombe married Isaac Moore on 5 March 1908 at Clay Co., WV. Peggy Dow Holcombe died on 19 June 1942 at Fola, Clay Co., WV, at age 79. [S676] Gary Boyd Roberts, Presidents 2009 Edition, page 24. [S25] Hannah McPherson, Holcombe Genealogy, page 227.1. Maj. Gen Henry Lee II was born in 1730. He was the son of Henry Lee and Mary Bland. Maj. Gen Henry Lee II married Lucy Grymes. Maj. Gen Henry Lee II died in 1787. Angelina Jolie Voight was born on 4 June 1975. She confirmed a relationship with William Bradley Pitt, son of William Alvin Pitt and Jane Etta Hillhouse, on 11 January 2006. Angelina Jolie Voight and William Bradley Pitt were divorced; pending. 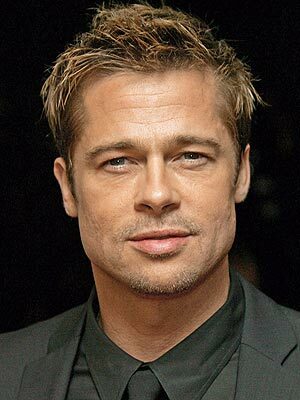 William Bradley Pitt was born on 18 December 1963 at Shawnee, Pottawatomie Co., OK. He was the son of William Alvin Pitt and Jane Etta Hillhouse. William Bradley Pitt married Jennifer Aniston on 29 July 2000 at CA. William Bradley Pitt and Jennifer Aniston were divorced on 2 October 2005. William Bradley Pitt confirmed a relationship with Angelina Jolie Voight on 11 January 2006. William Bradley Pitt and Angelina Jolie Voight were divorced; pending.